On Monday, Actor Suriya officially announced his upcoming movie’s title and released its first look. 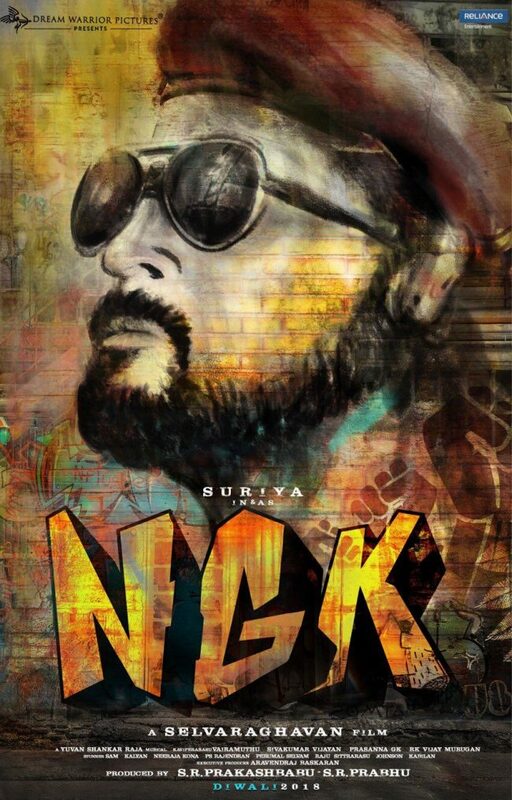 The movie is reportedly known as Suriya 36 is hereafter referred as NGK. The NGK is directed by Selvaraghavan and produced by Dream Warrior Pictures. Sai Pallavi, Rakul Preet Singh in lead roles. Background score is composed by Yuvan Shankar Raja The movie is expected to release on Diwali 2018. Now trusted source suggest that NGK in the title stands for Nandha Gopalan Kumaran. Nandha Gopalan Kumaran which was the character name of Suriya in the movie and there was no official announcement about that. According to the first look poster which is updated below, the actor is playing a strong communist leader role in the film.